Channel the can-do attitude of recently appointed Japanese minister Yoshitaka Sakurada, who said Wednesday that he wasn’t going to let the minor detail that he’d never once used a computer stand in the way of his new job—heading cybersecurity for Japan. “I can’t believe that a person who never used a computer is in charge of cybersecurity measures,” opposition lawmaker Masato Imai told the Times. During his 2017 New Year’s Eve party, Trump warned reporters, “No computer is safe. Yoshitaka Sakurada, 68, is the deputy chief of the government’s cybersecurity strategy office and also the minister in charge of the Olympic and Paralympic Games that Tokyo will host in 2020. "I don't use computers because since I was 25 I have been in a position of authority where secretaries and employees handle such tasks for me," he said according to the Japan Times. 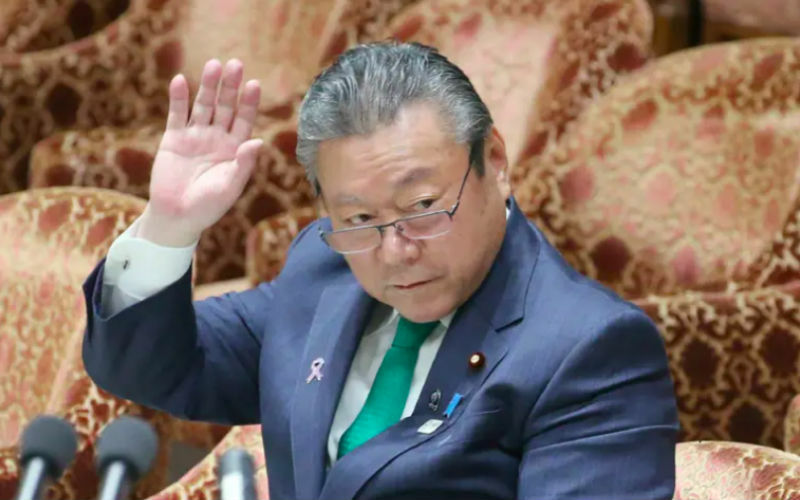 During a question and answer session Yoshitaka Sakurada told a Lower House cabinet committee meeting that he had never found the need to use one during his career. The Associated Press added that the 68-year-old was equally uncertain when asked about cybersecurity at nuclear power plants, appearing to not know what a USB drive is. The man who Japanese prime minister Shinzo Abe tapped last month to defend the nation against hackers told reporters that he has never used a computer in his life, explaining, “I’ve been independent since I was 25 and have always directed my staff and secretaries to do that kind of thing,” according to a Reuters translation. Sakurada has been in office just over a month after being appointed by Prime Minister Shinzo Abe as part of a cabinet reshuffle. Granted, Sakurada, who also oversees overall operations for the Tokyo Olympics in 2020 and the Paralympics, isn’t the only leader who is wary of computers and outsources technological tasks.